There are 6 Memory Care Facilities in the Anthem area, with 2 in Anthem and 4 nearby. To help you with your search, browse the 1 review below for memory care facilities in Anthem. On average, consumers rate memory care in Anthem 5.0 out of 5 stars. Caring.com has helped thousands of families find high-quality senior care. To speak with one of our Family Advisors about memory care options and costs in Anthem, call (855) 863-8283. Located within the Phoenix metropolitan area, Anthem is a family-friendly master-planned community with some 21,700 residents, including 3,630 senior citizens. Arizona has long been a popular destination with retirees, but today, an aging population means that the state is bracing for a steep increase in Alzheimer's disease and dementia. The Alzheimer's Association expects the number of cases to increase by 43 percent between 2018 and 2025. To meet the daily needs of this growing population, Anthem and surrounding communities are home to 15 memory care facilities that are licensed by the Arizona Department of Health Services. As part of metro Phoenix, Anthem has poor year-round air quality. High levels of particulates coupled with heat-related ozone buildup earned the local air quality an "F" grade from the American Lung Association. For health reasons, seniors may need to stay indoors and take steps to avoid these pollutants. Anthem has few facilities from which to choose in the event of a medical emergency or illness. The nearest major hospital specializing in brain health and dementia care is the HonorHealth Deer Valley Medical Center, which is approximately 20 minutes away in Peoria. The cost of living in Anthem is moderately higher than other parts of Arizona. Residents spend 37 percent more for transportation and 74 percent more for housing compared to the national average. However, most other expenses, including healthcare, food and utilities, are on par with the U.S. median, which may benefit fixed-income seniors. Anthem has a sunny, warm climate that appeals to many retirees. The area receives nearly 300 days of sunshine, and winter lows rarely fall below 40. However, summer highs regularly soar above 100 degrees. During the warm season, seniors can stay indoors or relax in shaded outdoor areas. Memory Care costs in Anthem start around $0 per month on average, while the nationwide average cost of memory care is $4,800 per month. It’s important to note that memory care rates in Anthem and the surrounding suburbs can vary widely based on factors such as location, the level of care needed, apartment size and the types of amenities offered at each community. 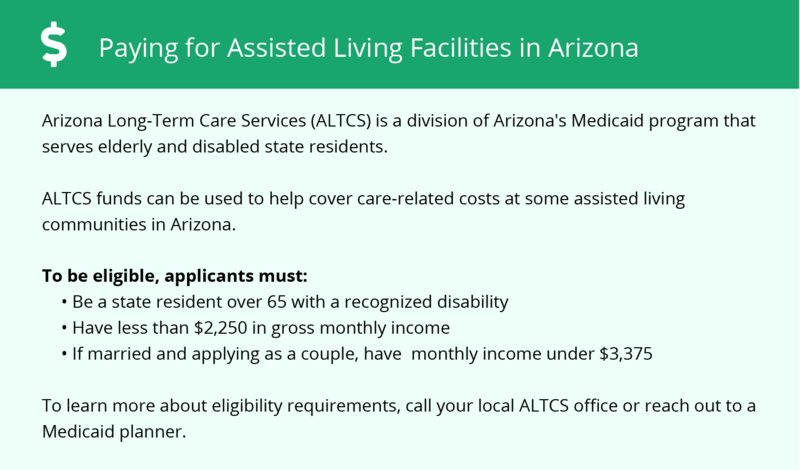 Anthem and the surrounding area are home to numerous government agencies and non-profit organizations offering help for seniors searching for or currently residing in an assisted living community. These organizations can also provide assistance in a number of other eldercare services such as geriatric care management, elder law advice, estate planning, finding home care and health and wellness programs. To see a list of free memory care resources in Anthem, please visit our Assisted Living in Arizona page. 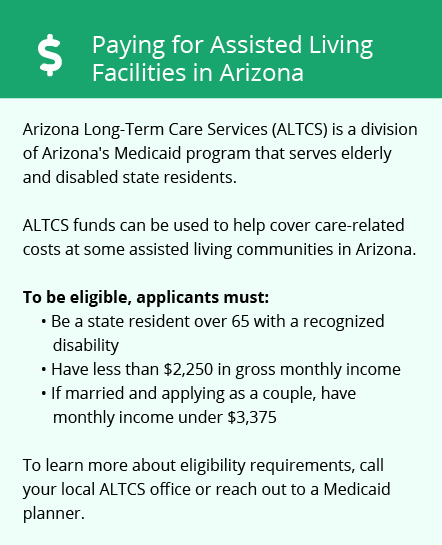 Anthem-area assisted living communities must adhere to the comprehensive set of state laws and regulations that all assisted living communities in Arizona are required to follow. Visit our Memory Care in Arizona page for more information about these laws.